On a recent business trip to New York, I was craving for some delicious indian food, and I have to say I was happy when a colleague recommended Tadka Indian restaurant in Manhattan, for a memorable lunch! Its hard to find nice and reliably good food for reasonable prices in a Manhattan/Midtown, and Tadka turned out to be a pleasant surprise. It is indeed a very tiny and cramped place in a busy location, but if you are seeking fast service, better-than-average food, and affordable lunch alternative, then Tadka will not disappoint you. In fact, a lot of my American colleagues seemed to like it too, and I was also told that this serves to be a very popular restaurant for take-out and delivery! With so many people vouching for it, I think you can safely give Tadka Indian restaurant a fair chance on your next trip to Manhattan, right?! 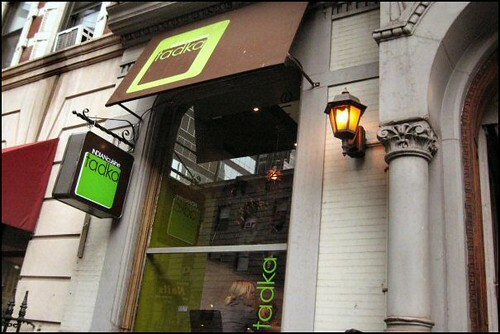 Tadka restaurant in New York the newest addition to the critically acclaimed Indian eateries by Shiva Natarajan, the chef & owner of the already famous Chola, Bombay, Malabar Hill and Jaipore Royal Cuisine in the Tri-State areas. Combining traditional Indian decor with a New York look, this is a small yet cozy place that features dark wooden floors and tables, light flowering hanging lanterns, comfortable chairs, walls decorated with small statues hidden amidst strategically mounted frames and a large front window that makes the dining area a bit more spacious. The limited space is not so much of a concern, considering the other similar restaurants on the same street! The overall feeling is comfortable and inviting. They feature an extensive menu, with a special one for Vegetarians like me. we ordered the Tawa Paneer and the kalmi Kababs for appetizers, and everyone thoroughly enjoyed these. There are a lot of exquisite entrees for the main course. The prices are pretty reasonable, and the portions are substantial too. The Navratan Korma, Shahi Paneer, Lamb Vindaloo and the Bhuna Gosht were particularly good. Loads of choices for the Breads and Parathas too; the only disappointment was the dessert. With only Gulab Jamuns, Halwa or Kheer to choose from, the sweet-loving critic in me was not too satisfied - but the Gulab Jamuns we ordered were soft and nice, so it was good. 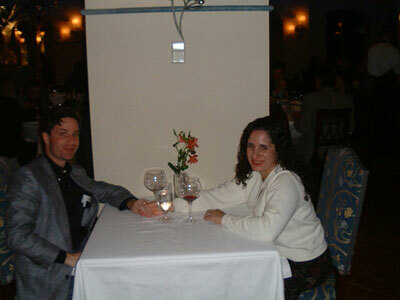 The service was fast and efficient, and the waiting staff was courteous and educated about the menu options. The price ranges from $3.50 to $17.95, which is quite reasonable for a comparable fine-dining experience. Having said that, we all enjoyed the food, and though it was not "exquisite", it was worth the value, and without any grievances. The only drawback would be the tiny place, and the lack of parking. It's an ideal location for weekday lunches if you work around the area; better yet, order a take-out as they provide free delivery upto a certain radius! Tadka is not a place you'd choose for a romantic dinner or a boisterous family gathering. But if what you seek is reasonably-priced good food with fast service, Tadka Indian Cuisine should be on your to-go list. Nice review Mansi ... will surly keep it in mind for the next time i'm there. ahh! thanks for the info.. everytime, we used to hunt for good indian restaurants.. will try this one when i go there next time. Thanks for posting this review. I have a meeting in the city this afternoon and I was thinking of meeting my husband after work for dinner. Perhaps we'll take you up on the recommendation.